In Bound for the Midwest, Joni M. Hand contextualizes the religious manuscripts from the Charles Luce Harrison collection in a series of eight essays with full color images. Each of these books represents an important moment in the history of illuminated manuscripts, incunabula, or later printed texts. In addition, Hand explores Harrison’s collecting habits as he pursued his passion for books, which is what brought these manuscripts to the midwest and eventually to Kent Library at Southeast Missouri State University. Harrison’s collecting took place during the Great Depression, making each of his acquisitions truly labors of love. 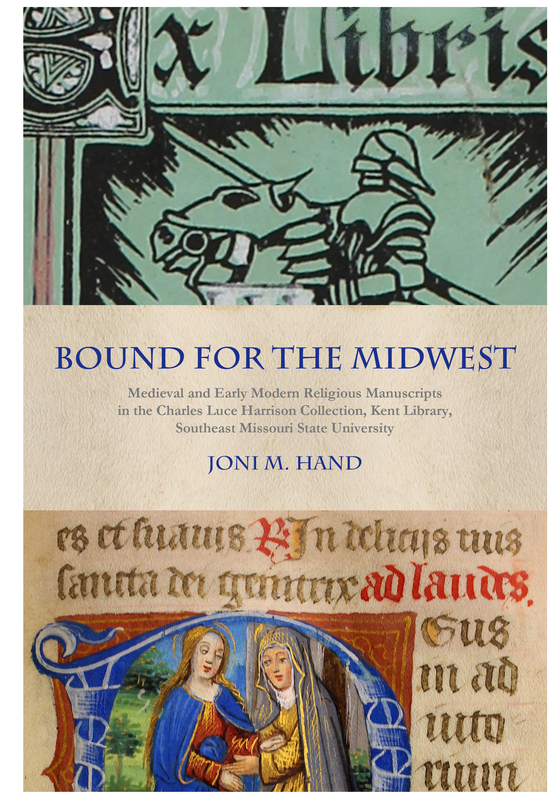 In Bound for the Midwest, Hand brings to light the beauty and historical significance of manuscripts and printed books from this important, but little known collection.